Necrotizing enterocolitis (NEC) is a life-threatening condition that manifests as inflammation of the intestines. This devastating disease affects mostly premature babies, who account for up to 8 out of every 10 cases. 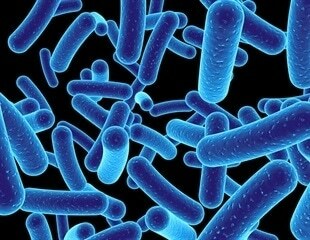 In NEC, bacteria invade the intestinal wall. The resulting local infection and inflammation lead to the destruction of the intestinal lining, even through its entire thickness. An implanted, programmable medical robot can gradually lengthen tubular organs by applying traction forces -- stimulating tissue growth in stunted organs without interfering with organ function or causing apparent discomfort, report researchers at Boston Children's Hospital. Some of the first living things to greet a newborn baby do a lot more than coo or cuddle. In fact, they may actually help the little one's digestive system prepare for a lifetime of fighting off dangerous germs. Investigators at Children's Hospital Los Angeles, led by Tracy C. Grikscheit, MD, have mapped the genetic changes resulting from short bowel syndrome using a novel zebrafish model and by performing intensive gene sequencing. The National Science Foundation has chosen an LSU Health New Orleans team that developed a test for the early detection of a potentially life-threatening gastrointestinal disease affecting pre-term, low birthweight babies to receive expert guidance to move the technology forward. The majority of patients in neonatal intensive care units are premature babies, who often have infectious (congenital pneumonia) or noninfectious (tachypnea, infant respiratory distress syndrome) respiratory pathologies.